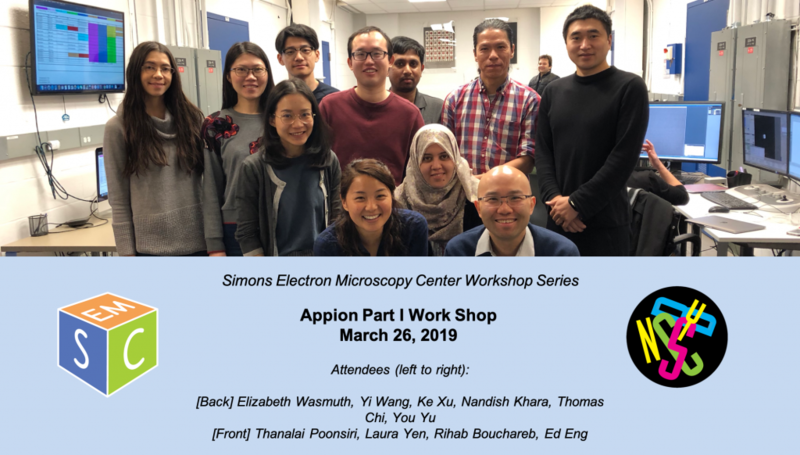 The Appion Part 1 Workshop provides hands-on training for the Appion single-particle data processing workflow. Appion is a “pipeline” for processing and analysis of EM images; it is integrated with Leginon data acquisition, but can also be used stand-alone after uploading images or particle stacks. Topics include analyzing the quality of your data collection, correcting the CTF, generating and cleaning up stacks, and generating 2D class averages.